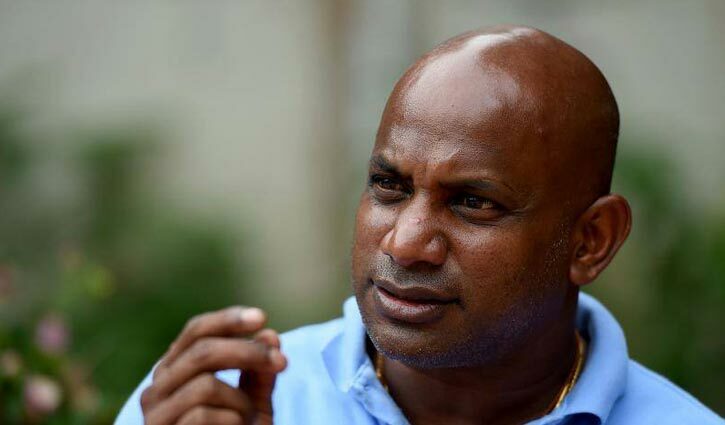 Sports Desk: Former Sri Lanka captain Sanath Jayasuriya has been banned from cricket for two years for two breaches of the ICC's Anti-Corruption Code. Jayasuriya, a former World Cup winner and a popular figure in Sri Lanka, admitted to breaching Article 2.4.6 by refusing to co-operate with an ongoing ICC investigation into corruption in Sri Lankan cricket. In addition, he admitted to "obstructing or delaying" the same investigation by "concealing, tampering with or destroying any documentation or other information that may be relevant to that investigation" as stated in Article 2.4.7. Last October, the 49-year-old was charged by the ICC with two counts of breaching its anti-corruption code for the same articles. The investigation were reported to relate to Jayasuriya's time as Sri Lanka's chairman of selectors, between April 2016 to August 2017, and the fourth one-day international between Sri Lanka and Zimbabwe in July 2017. He subsequently issued a statement in which he insisted he always conducted himself with "integrity and transparency with matters concerning the sport", but suggested "strict legal advice" prevented him from commenting fully. "I have always conducted myself with integrity and transparency with matters concerning the sport and will continue to do so," he said. "I am under advice to state that the charges do not contain any allegations pertaining to match fixing, pitch fixing or any other corrupt activity. "The charges allege that I have not been co-operative and not assisted the investigations." Sri Lanka bowling coach Nuwan Zoysa suffered the same fate back in November when he was charged with three counts of breaching the ICC's anti-corruption code and suspended with immediate effect. The cricket governing body has been trying to crack down on the issue and announced in January a 15-day amnesty for whistleblowers who have previously failed to report corruption, warning of five-year bans if they fail to come clean. It resulted in 11 players and other participants coming forward with new information, according to the ICC. "This conviction under the code demonstrates the importance of participants in cricket cooperating with investigations," said Alex Marshall, ICC general manager. "Compelling participants to cooperate under the code is a vital weapon in our efforts to rid our sport of corruptors. These rules are essential to maintain the integrity of our sport." "The amnesty has worked very well and has delivered significant new and important intelligence. This new information has assisted a number of our ongoing investigations and has resulted in some new investigations getting underway."